Xiaomi is certainly on a roll with their gadget releases. They had already released the new Redmi 2, Mi Note and Mi Note Pro, along with their over-ear headphones and the Mi Box Mini. 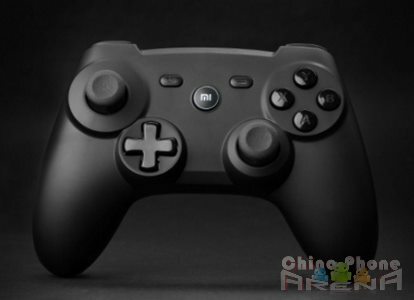 And another one has surfaced: The Xiaomi gamepad. The gamepad has a similar design with the Xbox controller. It can connect to Xiaomi’s Android box or to TV through Bluetooth 3.0 protocol. The gamepad is equipped with a 3-axis accelerometer and a built-in motor for a rumble feature. The gamepad has an internal battery which can last up to 80 hours of gameplay. It is reportedly priced at 99 Yuan which roughly converts to around $16. Not at all bad for a Bluetooth gamepad.